Sri Lanka's media have given significant coverage to the historic visit by Chinese president Xi Jinping with articles being penned on the topic of China-Sri Lanka relations. China and Sri Lanka are working on the modalities of implementing the 21st Century Maritime Silk Road initiative, a senior official said here on Monday. Chinese President Xi Jinping arrived Sunday for a state visit to Maldives, the first of its kind since the two sides established diplomatic ties 42 years ago. President Xi Jinping envisioned China's expanded teamwork with the Maldives on connectivity, climate change and tourism as he arrived at the first stop of his South Asia trip on Sunday. 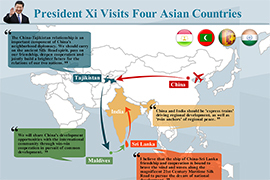 Chinese President Xi Jinping left here for the Maldives on Sunday, concluding a four-day trip to Tajikistan that has significantly boosted bilateral ties and injected fresh vigor into regional cooperation within the framework of the Shanghai Cooperation Organization (SCO). Chinese President Xi Jinping on Sunday pledged to pursue close cooperation with the Maldives on climate change ahead of his state visit to the island country. 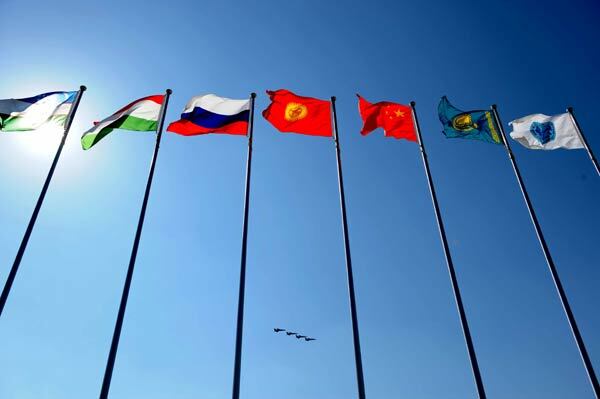 In the face of an unstable international and regional situation, the Shanghai Cooperation Organization (SCO), a six-nation regional security group, wrapped up a two-day summit in Tajikistan's capital, Dushanbe. 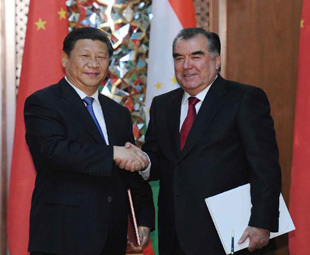 Chinese and Tajik leaders approved here Saturday a five-year development plan for the bilateral strategic partnership, pledging an across-the-board strengthening of pragmatic cooperation to achieve common development, prosperity and security. Visiting Chinese President Xi Jinping and his Tajik counterpart Emomali Rahmon on Saturday attended the construction commencement ceremony of the Tajikistan section of Line-D of the China-Central Asia Gas Pipelines. India on Friday formally applied for full membership in the Shanghai Cooperation Organization (SCO), said local media.